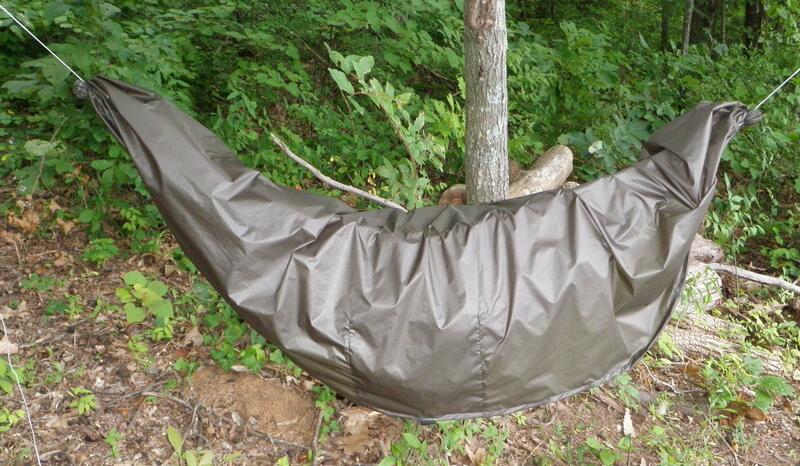 Molly Mac Gear Box – MacEntyre has said that what he likes about hammock camping is that “Nothing but the soles of your shoes touch the ground.” This gear hammock was made to achieve that goal. You can hang it under your hammock, beside your hammock, or outside your tarp. You can let it hang just touching the ground, or suspend only one end. You can put your pack inside, with your boots and all of your gear. It is a waterproof cache for your gear! Pocket in SEEP can hold a water bottle or rock, which holds the SEEP closed. SEEP has a grosgrain loop in the middle for staking it to the ground, and a shock cord loop for stowing the Gear Box inside it’s own pocket.